Oliver Stone believes "you don’t have to agree with politicians to be a patriot." Oliver Stone’s Snowden is the tale of a hero. There is no condemning of his actions, no questioning whether the US government might have had some good intentions behind its decision to invade the privacy of pretty much everyone. Here is a film that basically states that “Snowden=good, government=bad.” Which is the kind of thing one would expect, after all, from a movie called Snowden. And yet, it is not as political as filmgoers might expect, nor as thrilling – the “meaty” bit doesn’t begin until the last quarter of the movie, which might make it seem long at times. It’s an origins story, which means that all the background of Snowden’s life the audience is presented with slows the film down, even if those are aspects of him that we need to see to understand his actions. Granted, Stone does an exceptional job in depicting how Snowden slowly started to realise that his country was invading people’s privacies – from a small scene in which he accidentally spies on a woman taking off her burka on her webcam to the turning point when Snowden begins to suspect his own house might be bugged. But for all the bits-that-we-don’t-need and the needed biased nature of the film, there is one thing that stands out from everything else: Joseph Gordon-Levitt’s performance. We are used to seeing him display his baby-faced looks and his signature smile in all his movies, but here he delivers an impressive act as Snowden, from the way he speaks, to his gestures (or rather, lack of them) to the wide range of emotions he expresses with just his eyes. 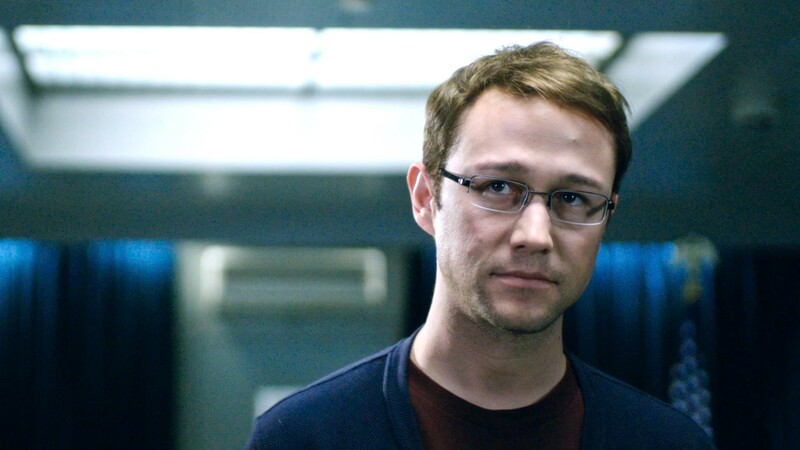 By putting on a pair of glasses and growing stubble, Gordon-Levitt becomes Snowden. It is him, from start to finish. Even when the real Snowden shows up at the very end for the mandatory cameo, it takes a few seconds to realise that it is the actual man we are seeing, and not the actor. But this film is about a story larger than Snowden, so of course the supporting characters play an important role in its climax. 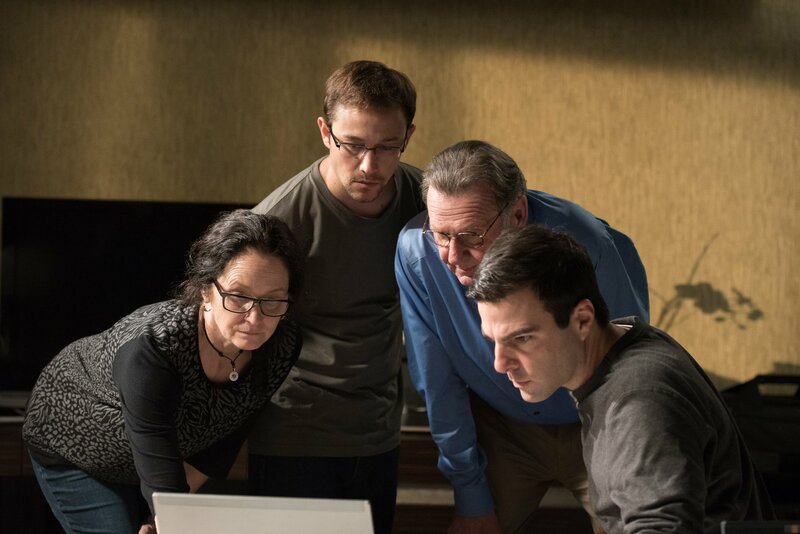 Stone puts the plot in the hands of the people who first leaked the truth: documentary filmmaker Laura Poitras (an unrecognisable Melissa Leo) and The Guardian journalists Glenn Greenwald (Zachary Quinto) and Ewen MacAskill (Tom Wilkinson), while the emotional aspect of the film is left to Shailene Woodley as Snowden’s girlfriend Lindsay. They all help support the notion of Edward Snowden as the absolute hero of Stone’s tale. But whether you agree with what Snowden did or not, one thing is for sure: after you watch this film, you will rush home to put some tape over your laptop’s webcam.